GROHE, the world’s leading provider of sanitary fittings, remains on a course of growth and has successfully invested in its plant in Lahr, Germany. The expansion of the electroplating facility, which enables plastic components such as showerheads to be plated in chrome, allows the capacity of chrome plating for plastic at the site to increase by up to 70 per cent. The launch of the newly expanded facility was celebrated today. More than 40 new jobs have been created at the site. The number of employees at the plant has increased to over 700, which makes Lahr the largest GROHE plant in Germany. GROHE has invested more than EUR 30 million in the site within five years. 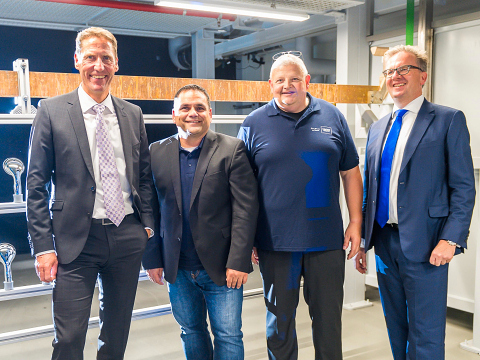 “GROHE is growing and with the expansion of our sites, such as here in Lahr, we are continuing to drive this course of growth forward – both nationally and internationally,” said GROHE CEO, Michael Rauterkus at the launch of the expanded electroplating facility today. “By investing in Lahr, we are also emphasising GROHE’s commitment to quality ‘Made in Germany’. We continuously expand all of our production sites, which means we’re also safeguarding Germany as a production site. 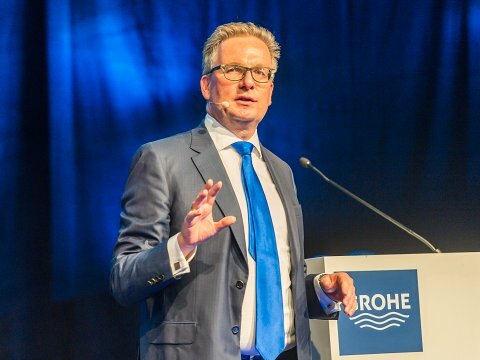 This is because we believe that profitable production in Germany is possible.” As part of the international growth strategy, GROHE assumes a strategic approach which aims to concentrate specific technological and product knowledge in each plant and thus to create an international network of technology centres. Lahr is assuming the role of competence centre for showers and shower systems. More than 700 employees ensure, among other things, that over 20,000 shower systems leave the plant in Lahr every day, which are shipped all over the world. The demand for GROHE showers and shower systems is growing continuously. Thanks to considerably shorter cycle times, the new electroplating facility significantly increases capacity at GROHE. The successful handheld shower line, Tempesta, is among the products manufactured at the plant. Even the world’s most luxurious shower is made here: the AquaSymphony. 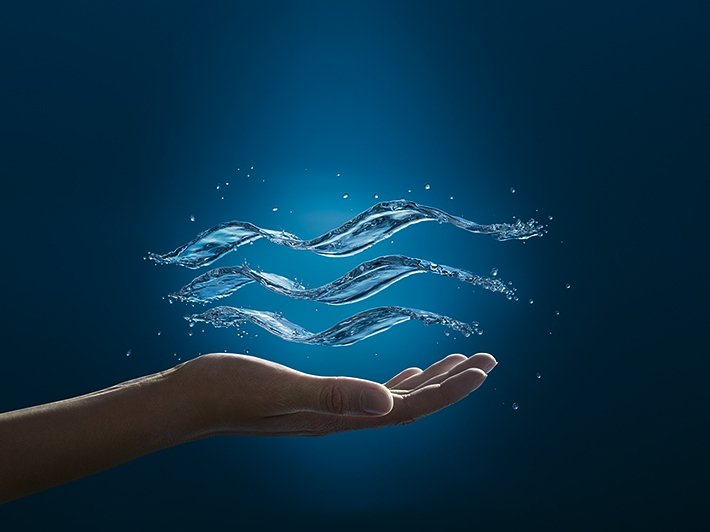 In addition, GROHE produces its new water security system, GROHE Sense Guard in Lahr: a water system that detects even small amounts of water losses early. In serious cases such as a burst pipe, the water supply can be shut off automatically, thus avoiding any major damage. GROHE Sense Guard is available since the beginning of this month. With this solution, GROHE is positioning itself as a forerunner for digitalisation in small- and medium-sized companies. Furthermore, the company stands by its promise to use technological possibilities to make products more intelligent. As early as July 2016, GROHE had already installed a new combined heat and power unit in its plant. The unit reduces CO2 emissions at the production facility by 15 per cent every year. Sustainability is an integral part of daily business at GROHE and is firmly anchored in the brand’s DNA. In 2017, GROHE was the first company in its industry to win the German government’s CSR prize.